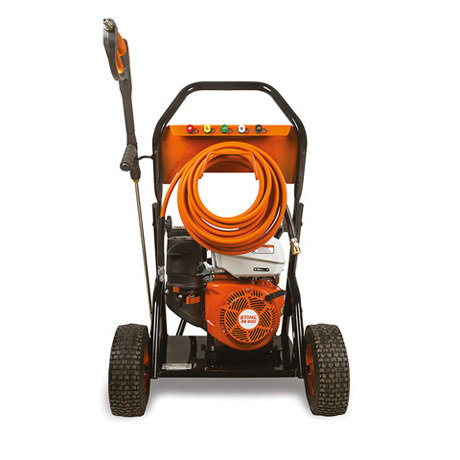 With any operating pressure of 4,200 psi the professional grade RB 800 is designed to handle any big project, offering maximum performance, reliability and easy manoeuvrability. 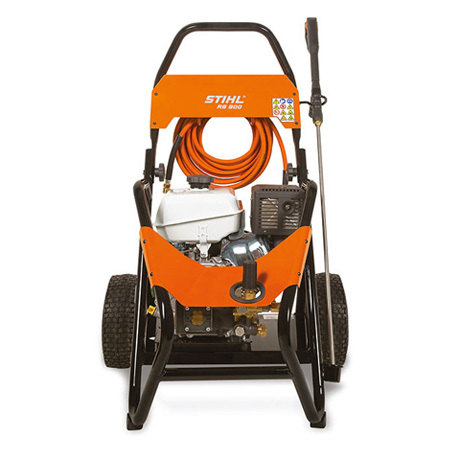 This unit features a powder coated, 1 1/4" welded steel tube frame with folding handle bar, 13" pneumatic tires and a brass manifold. 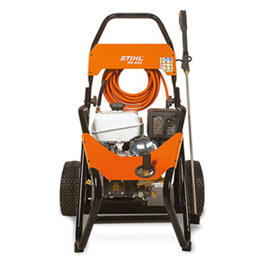 Comes with a professional grade 36" two piece lance with insulated trigger gun with safety lock-off and a 50 ft. wire braided pressure hose.